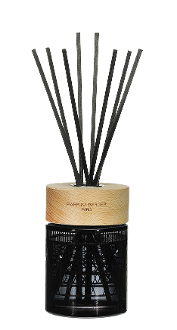 Maison Berger Paris scented bouquet collection is an invitation to discover another way to perfume your home. Elegantly decorative, thanks to the capillary cold perfuming system; the fragrances can be diffused intensely or delicately. Our collection of 200 ml refills can be used for both glass and ceramic bouquets.